Today I got happy mail from Sweet Stamp Shop. Don't you think these hedgehogs are just too cute? I just HAD to get them! Heute habe ich schöne Post von Sweet Stamp Shop bekommen. Findet ihr nciht auch, dass diese Igel einfach zu süß sind? Ich MUSSTE sie einfach haben! oh my goodness! adorable!! LOOOOOOOVE the light to dark dots you created for the background!! 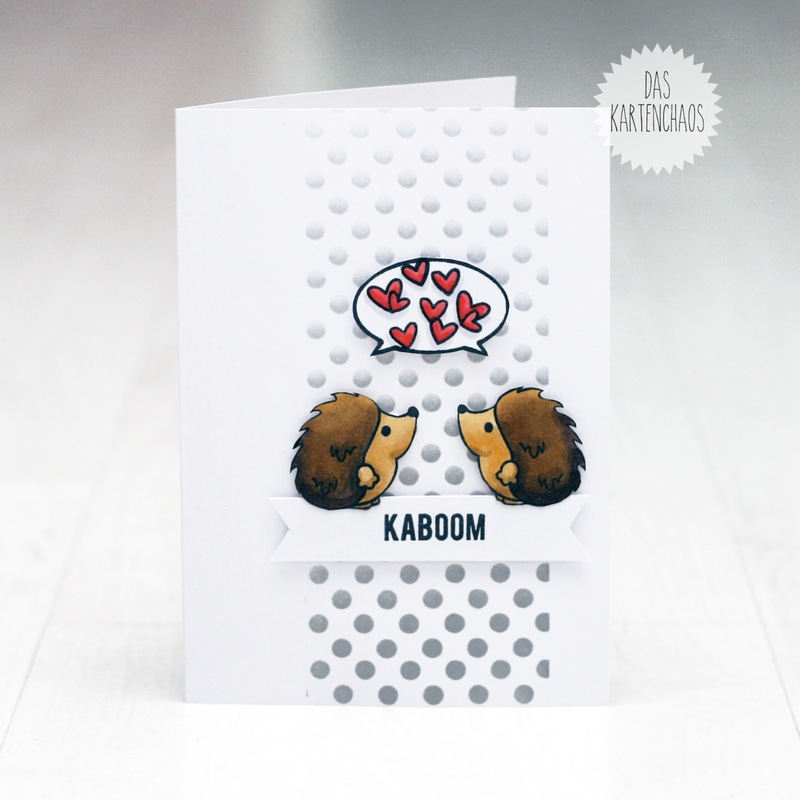 and those little hedgehogs are totally adorable!! LOVE your hearts in the speech bubble! eek!! so cute! OMG adorable!!! I HAVE to place an order with this company - pronto!! !